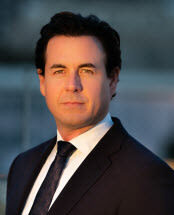 Joseph M. Bruno Jr. is the first of a third generation of Bruno lawyers. He has trained with Bruno & Bruno for the past 15 years. He is fortunate to have had the unique opportunity to litigate with Joseph Bruno Sr., the Honorable Christopher Bruno, Robert Bruno and Stephen Bruno. With such exposure, he has developed skills to ensure that victims of civil wrongs are offered effective guidance throughout the litigation process, with the goal of achieving maximum recovery in a variety of proficiencies such as auto accidents, premises liability, professional liability, medical malpractice, wrongful death, exemplary/punitive liability, contract disputes, Social Security, workers' compensation, hurricane claims, product liability/mechanical failure, inadequate security/supervision, motorcycle, 18- wheeler and trucking accidents, industrial accidents, amputation, electrocution and severe burns.